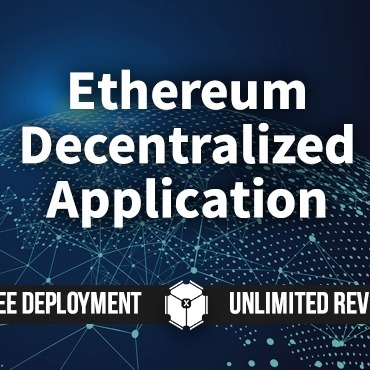 I will develop any kind of decentralized application for you on Ethereum. The smart contracts will be compatible with all the secure standards put forth by Consensys and Zepplin. The web application will comply with top-notch security standards. Fast and secure smart contracts on Ethereum. Free deployment of web application on the cloud.